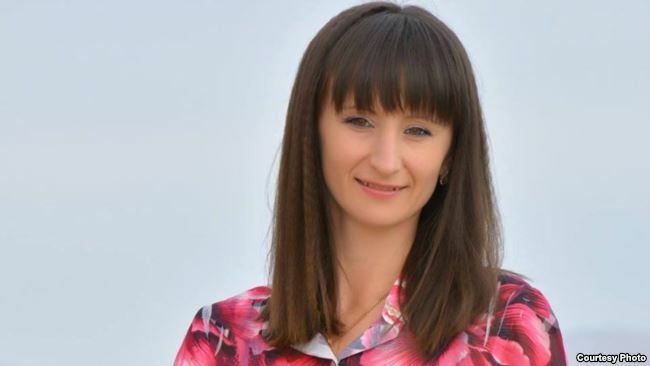 Mariia Tomak, a coordinator of the Media Initiative for Human Rights and our colleague in the case on human trafficking of Ukrainians to Russia, has prepared a large article for Radio Liberty. For your attention, here is an exclusive interview with Inna Tarasenko, a senior investigator from Dnipro, who investigated proceedings against suspects in the case of recruiting citizens of Ukraine. Today, the High Specialized Court in Kyiv will determine jurisdiction in the high profile “couriers case.” At the end of the last year, the National Police of Ukraine arrested four people on suspicion of recruiting and transferring of citizens of Ukraine for further involvement in criminal business in Russia (the scheme was explained in detail in the article written for RL). Now, these people are already suspects; they are charged of human trafficking by an organized group (part 3 Article 149 of the Criminal Code of Ukraine). Their defenders initiate transfer of the case from the Babushkinskyi District Court in Dnipro to the Solomianskyi Court in Kyiv for the convenience. However, the public prosecution will insist on the consideration of the proceedings in Dnipro. There are several things that are important to know and understand about the case. First, according to investigators, in Ukraine, there is no practice of courts to hear cases classified as human trafficking, which refer to the involvement of people specifically to drug trafficking. Secondly and this will become evident to readers later, there are still many unknown in the proceedings that were filed in the court. Unidentified persons contacted the accused organizer for unknown reasons. Unknown persons “leaked” information about the police investigation into the organized group. Too many unknown and unproven that, in particular, protect contacts of criminals with law enforcement agencies, namely such major institutions as the State Guard, from getting the status of “accomplice.” We can only express the hope that in the course of the further investigation of other proceedings these unknown persons could become known. In the exclusive interview, Inna Tarasenko, a senior investigator for particularly important cases of the Investigative Department of the Main Department of the Dnipropetrovsk region, who investigated the proceedings, spoke about peculiarities of the scheme, financial flows from Russia, suspects, and responded to questions about the relationship of the accused with various government officials in Ukraine. – Defence for the accused initiates the transfer of the court hearing to Kyiv. How can it be interpreted, in your opinion? – Most defenders are from Kyiv. The suspects also live in the capital, and, consequently, their relatives will be more convenient to visit them in prison in Kyiv, where they will be transferred. If we evaluate the legal aspects, it will affect the course of the trial, since most victims are residents of Dnipropetrovsk Oblast. All of them are representatives of socially vulnerable people, many of them do not have resources to travel to Kyiv. Accordingly, they cannot appear in court and give evidence. Most witnesses also are residents of Dnipropetrovsk or neighbouring Oblasts. Interrogations of them in courts of other oblasts would delay the process. Moreover, there was also seized a large amount of physical evidence – computer equipment, draft recordings, mobile phones. They are stored in Dnipro. Their transportation to Kyiv also has certain difficulties. And finally – one suspect is a citizen of Moldova; he said that about the need for an interpreter. We have found a person who is a resident of Dnipropetrovsk Oblast. It is unlikely that he will be able to travel to Kyiv for trial, so there is a question of finding an interpreter. – Can we say that the request of the defence is one of the methods to “break” the case, or at least delay its consideration? – Yes. We can also assume that the defence will attempt to influence the court of Kyiv. – And what do you think is the likelihood that it can be done and what will it mean for the victims in the case – good lawyers, some accused seem to have significant financial resources? Are there risks? – The status of the victims will not affect the verdict. But I do not believe that Ukrainian verdicts will in any way affect the fate of the victims, who are in Russian places of detention. The Russian police see and understand the fact that these people are victims, not criminals. But continue to imprison them; the courts give them real terms of imprisonment, and they are not short. If the Russian police wanted to see that people are hostages of the situation, they would have seen it without Ukrainian verdicts. As for the “break” of the case in the court, we collected during the investigation, in my opinion, enough evidence to prove the guilt of each of the four accused has been collected. These are testimonies of the victims, and identifications, and records of searches, and reports of secret investigative actions. Although it is difficult to predict how it will turn in the court. But personally, I think there is the biggest problem in forming a stable panel of judges. Since human trafficking is classified as a very serious crime, the case will be considered by a panel of judges. However, the problem is a physical shortage of judges; the burden on them is enormous. In six months or a year when the hearing will be lasting, someone may end the judge’s powers, or he or she will leave the job. Every time the trial will begin again. – What is currently known and what information the investigation may make sound regarding the accused persons? Who are they? Some of my colleagues, for example, rather sceptically embraced the news of their detention and that they are organizers, not just performers, although of the senior level. What are the reasons to believe that these are organizers? – The fact that one of the accused is an organizer is established and proven during the investigation. Even if you pay attention to the funding, the information provided by PrivatBank and other banks make obvious that he sent money to recruiters in regions, such as salaries, rent payments, and other needs, using his bank card. His managing role was established through secret investigative actions. We had been monitoring communications for two months, and the investigation has not received any information on the presence of someone greater than this person. At least, in Ukraine. If this man has been, he would report, or inform about the results. – Did the organizer communicate with someone from the Russian Federation? – All communication was done via special mobile applications, so we could not track it. – Who is this person? Did he have something to do with organized crime? – No, he had not previously been brought to justice. Of the four defendants, only the citizen of Moldova was prosecuted for robbery, but the record was extinguished. Overall, of the four arrested, only one man admits his guilt, is really repentant and willing to help the investigation. In the eyes of the rest, there is no drop of remorse, no awareness of what they committed. Their goal is to avoid criminal responsibility and get out of detention. – According to unofficial information on bails for detainees, but so far, they remain arrested. So, have the bails been paid or not? During the day, the wife of the organizer of the crime paid a bail of UAH 2 million. But after he was arrested under other proceedings. – During the day, the wife of the organizer of the crime paid a bail of UAH 2 million. But after he was arrested under other proceedings. the court determined a bail of UAH 3 million; it has not been paid. – Who sent money to the organizer? – In 2015, he received money transfers via the Western Union from Russia. Analysing information from PrivatBank, we saw that from 2016 they have been using the Bitcoin payment system, which is difficult to track. Also, the organizer often changed the bank cards. – What amount are we talking about, if we are talking about the whole scheme? How much money went through the card of the organizer, for example? – We did not calculate the exact amount as the case is about crimes against individuals, not property offenses. But in general, for example, the card of the person who met at the station/accompanied people during a month received about 200 thousand. As for the card of the organizer, almost daily UAH 10 – 100 thousand were transferred to his bank account. – Because, as you mentioned, money was transferred, including through the Western Union, and couriers in Russia followed the instructions of curators and opened cards in Sberbank, perhaps, one could determine who and from which accounts transferred money in Russia? Have you applied with appropriate requests? – We requested the information from the Ukrainian branch of SberBank, but they do not see Russian cards. We did not ask for cash flow at bank cards in Russia. Let me explain why. Based on those statements, which are received from victims and sentences, it is known that in the same way using different cards of different people, money was transferred through terminals, so the probability of establishing an organizer is negligible. – One of the most important issues for us is possible involvement in the scheme of state representatives. Anton Gerashchenko said about the check for the involvement of the State Guard representative. Did you confirm these suspicions? – We checked the officer of the State Guard; he was interrogated, testified, but we could not establish and prove concrete evidence of his involvement in crimes or “covering” them. There were telephone conversations between him and the organizer. According to preliminary information, the employee of the State Security gave contacts of a polygraph examiner (the “lie detector” checking some of those who replied to the job announcement – ed.). But when interrogated, he said that the accused asked him for polygraph contacts in order to test his wife on allegiance. – His explanation is that he really gave contacts of a polygraph examiner, but he was not aware of the criminal actions of the accused. There are no grounds for bringing him to justice. – Speaking of polygraph examiners. Was it established where people were tested and who did it? – We established two addresses in Kyiv, where the tests took place. At one of the addresses at the Zhylianska Street, we could not establish the polygraph examiner. According to the owner of the premises, an unidentified person rented a flat for a month. Another polygraph examiner was found and interrogated, but, unfortunately, he does not know exactly who ordered these services. He said that someone unidentified asked to download a special mobile application, and all further negotiations were conducted through this program. At the same time, his services were paid using the same card from which money was transferred to the organizer of the crime. – As far as I understand that the “lie detector” was used only to candidates for special “jobs”. – Yes, drivers who were trusted large amounts of drugs, as well as those working in laboratories to manufacture drugs were examined using polygraph. – Have you established any other connections of the group with representatives of government or law enforcement agencies in Ukraine? – There were no stable connections. There is evidence that the organizer tried to learn about the criminal proceedings that are being investigated through unidentified persons. This is confirmed by seized draft recordings where there was recorded information about the criminal proceedings that were being investigated in Kyiv, concerning the fact of recruitment. Maybe he received this information for a separate fee, but these were one-off contacts, we have found no stable connections. – And according to investigators, the scheme itself had no support “from above”? – The fact is that such a scheme seemingly borders with the legitimate one. In the country, there are many companies or people who provide employment services. At first glance, this activity is legal. The investigation had to prove the subjective side of the crime that persons provided employment services, realizing involvement of people in criminal activity. I believe that this scheme could work without patronage “from above”. – Can we say that after the four people had been arrested, the scheme ceased to exist? Or this is not so easy, and not all were done by the accused? Can this scheme appear again? – Within 2-3 months from the time when the official arrest was carried out, we have monitored social networks, ads on the Internet, telephone numbers in ads that have remained were disabled. Filling a resume via some online resource, which contained the announcement of the recruitment of couriers, we received a reply that they work exclusively with citizens of Russia. – Who will witness against the accused recruiters during the trial? – In general, a few dozens of people. Mostly those who were involved in distributing advertisements or those who previously travelled to Russia, and were able to return, but did not fill applications to law enforcement agencies and are not victims. Also, these are relatives of the victims. – How many victims are in the case? – 14 people were recognized as victims under the proceedings filed to the court. We investigate the rest of the applications as separate criminal proceedings because in their case no direct evidence for the involvement of the accused in recruitment. Those victims are recognized on the basis of their claims. For each person, we are preparing a separate international legal order for their examination as victims, which we are sending to Russia. – How many proceedings are being still investigated? – Two in Dnipro and one in Kyiv. It is important to say that in the course of the investigation we often face with the reluctance of people to give indications for various reasons. Perhaps they are afraid or unwilling to take responsibility and act as witnesses in the court. But I want to emphasize that this is very important. If we all fear that at some point we will be afraid to go outside because of the dominance of crime. 14 people were recognized as victims under the proceedings filed to the court. – Very different figures were voiced as to how many people are victims of the schemes. What is this number according to your estimates? – I cannot estimate the total number. I can only say that in addition to these 14 victims in the proceedings, which came to Dnipro from Kyiv, about 20 people have been already recognized as victims. In total, 70 applications were received. Unfortunately, among them there are applications from people, who travelled to Russia several times, they knew where they go and what they would do there, they had a choice. We do not recognize such persons as victims. – How do Russian law enforcement agencies respond to requests of the Ukrainian side? Were investigators able to establish the Russian police involvement in the scheme during the investigation? – International legal orders that were sent to Russia by Ukraine are now in progress. To date, we have received no answers, but they had been sent only in March, and today we cannot talk about delays. As far as I know, the law enforcement bodies of the Russian Federation make much effort to document such schemes of people supply and to bring them to justice. At the same time, during the interrogation of persons who were able to return from Russia, during the study of applications that come from our citizens from places of detention, there is a definite trend. When upon arrival people realize that they are offered to engage in illegal activities and refuse, they receive threats that we know where you live, your family’s addresses, now you have to work to cover the money that we have spent on your travel, housing. If one ignores these threats, he will be detained. From 40 minutes to 3 days are needed from the moment of refusal to the appearance of the police. – I can assume that at certain stages, the scheme is working closely with local law enforcement agencies and provide information on individuals who refuse to work. – So, they are just reported to the police. – If you see the materials of several cases of detained Ukrainians under Article 228, we can see that everywhere “the organizer has not been established.” It seems that no one is trying to establish this organizer. – During the investigation, I reviewed the registry of decisions of Russian courts. I have reread more than 50 verdicts concerning citizens of Ukraine. None of them contained the organizer. But there were cases, for example, when few people shared the apartment, the status of organizer was assigned a person who, for example, spent the most time in the flat, although from the text of the judgment, it was that it had no organizer. However, I must say that in these cases citizens of both Ukraine and Russia were brought to justice. – Many of those trapped, hinted at the possible use of spy equipment to control them. Does the investigation establish how did it work? Did they use law enforcement as a resource? Wiretapping is an expensive and not publicly available thing. Most of our citizens who travelled to Russia were handed a mobile phone, which already had some apps. – As far as I know, most of our citizens who travelled to Russia were handed a mobile phone, which already had some apps. I think using these smartphones the supervision was established, organizers tracked the courier and could detain them at any moment. Furthermore, when the couriers carried out instructions, it is strictly forbidden to turn off the phone. Sometimes if they turned it off for a long time, this led to the arrest. – Recently there was a tendency to charge with not only Article 228, but also 210 (organized criminal community). Why is that? Russian courts and give 15 years of imprisonment for Article 228. What is this additional article for? – I think that Russian law enforcement agencies are trying to “make a performance.” Although, if we consider the situation in Russia, the spread of such quantity of drugs cannot be unorganized. But the question is whether detainees are among organizers, not just those made under threats or distribute drugs.